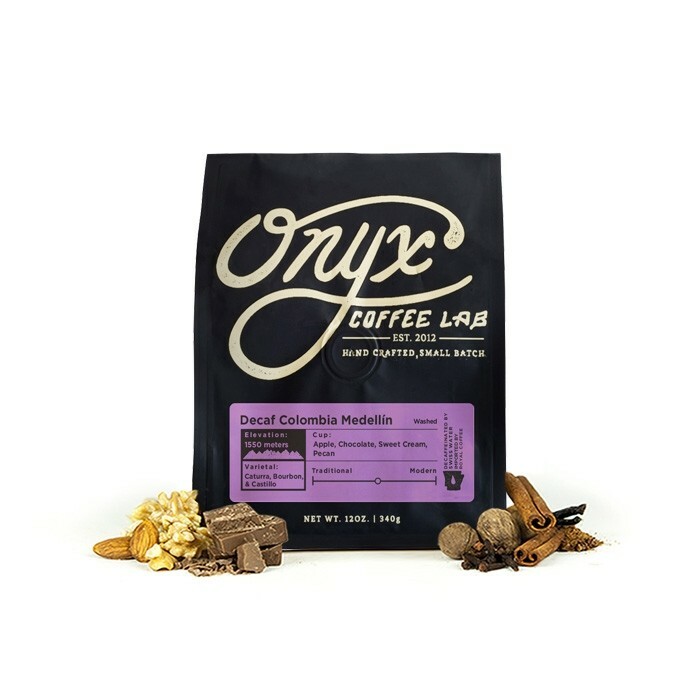 This is the Decaf Colombia Medellín brought to you by Onyx Coffee Lab. This decaf coffee from the Antioquia region of Colombia and grown at 1,550 meters. It was fully washed before being decaffeinated using the 100% natural Swiss Water decaffeination method. 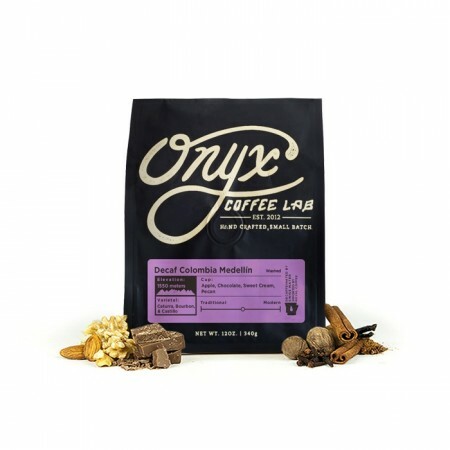 This process doesn't use chemicals and preserves much of the inherent characteristics this coffee has with notes of chocolate, pecan, a light acidity and rich, creamy body. Best decaf so far! Perfect!